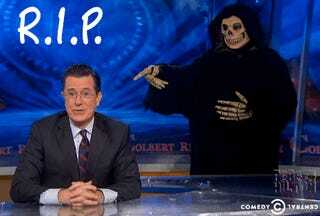 Ladies and Gentleman, this is the final night of The Colbert Report. It really feels like the end of an era. In mourning of the show's passing, please post your condolences in GIF form.